by many loving family members and friends. He will be greatly missed. Christopher graduated from St. David's Parochial School (now Queen of Angels School) in Willow Grove, Pa. There he became an Eagle Scout, Troop 305, Altar Server, and Enthusiastic Drummer in the Orchestra. Christopher graduated from Archbishop Wood High School. There he was a member of the Percussion Unit of the Award-Winning Marching Band. 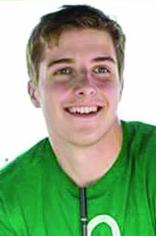 Christopher was also a member of the Performing Arts, Cycling, and Lacrosse teams. He graduated from Gwynedd Mercy University as the Convocation Speaker, Bachelor of Science degree. Christopher earned his Registered Nurse license. Christopher worked as a Surgical Nurse, in the operating room at Pennsylvania Hospital. Christopher was a Surgical Mission Volunteer with Global Health Ministry and traveled to Chulucanas, Peru. He had a passion for joyful, humble,sincere service to others. Christopher loved to travel, jazz music, karaoke, cycling, baseball, custom wood crafting, and fast cars. God is light and in Him is no darkness at all. If we all walk in the Light, as He is in the Light, we have fellowship with one another, and the blood of Jesus his Son cleanses us all from sin. There will be a Private Family Viewing On Thursday at 5:30 pm at the Funeral Home.Relatives and friends are invited to his viewing from 6 to 8 p.m. Thursday, Aug. 16, and 9 to 10 a.m. Friday, Aug. 17, at the John J. Bryers Funeral Home, 406 N. Easton Rd., Willow Grove, PA 19090. His Funeral Mass will be celebrated at 10:30 a.m. Friday, at St. David's R.C. Church, 316 N. Easton Rd., Willow Grove, PA 19090. Burial will take place after the Mass at Holy Sepulchre Cemetery, 3301 W. Cheltenham Ave., Cheltenham, PA 19150. In loving remembrance of Christopher Hawley, please make donations to Queen of Angels School, www.qoaschool.org, Give Now Button.